Yesterday. We were on a timeline. There was a long list of things to accomplish before we could head out the door and up the road to Lucas’ hockey game in Maryland. I wrote out a list of what needed to be done so Lucas and Claire could see it in black and white. It was the three of us, needing to work together to get things done and get us out the door on time. Stan and Zach were long gone. They left on Friday for Zach’s games in Philly. I needed to get Claire to a friend’s house before Lucas and I could head north. There were so many moving pieces to the weekend and I had it all shaved down to a millisecond. I gave them the two hour head’s up, left the list for them with explicit instructions on what to do when they finished a chore and headed to another. I told them I was going to go write my blog and I would be out soon. I emerge from my desk not quite and hour later to see not one thing had been checked off the list. The cats weren’t fed, the litter box wasn’t cleaned, the rabbit’s cage hadn’t been cleaned, bedrooms were a disaster, the dishwasher was still waiting to be unloaded….you get the idea ~ NOTHING was done. Claire came down with her nails painted. I could hear Lucas in the shower. I was furious. How dare they take their sweet time to do exactly what they want where there is a long list of things to accomplish before we can head out, I thought to myself? I don’t often lose it but yesterday, I lost it. I went upstairs and knocked (very loudly) on Lucas’ bathroom door, demanding he get out of the shower immediately. Claire stood, rooted to her spot, waiting for the explosion to happen. And it did. I stood with my fists clenched at my sides and I yelled…loudly and a lot. I think my head may have been spinning and I pretty sure I looked possessed…red eyes glowing wickedly in my sockets. There were no obscenities, no belittling and no false accusations just my loud voice reverberating through the house. I don’t get mad very often. Yesterday was my day to lose it just a little. But I hate it. I hate “losing” it. I hate yelling. I hate being angry and frustrated. I like calm Jenni. The one who can talk through whatever it is that is not quite right. I left the two of the standing there in the wake of my tirade and went to take a shower. I went back into my room to finish packing and getting myself ready when Claire came in, gave me a giant hug and said “I’m sorry, Mom.” I hugged her tightly and smiled. Apology accepted…moving on. Lucas, on the other hand, handled it just like Lucas would…deflect with humor. Long after we got on the road, I watched him in the backseat as he jammed away to Blondie while she sang the “Tide is High.” I watched his fingers pointed skyward and moved up and down, Saturday Night Fever style and I smiled. We got out of the house, nearly on time ~ for that I was thankful. 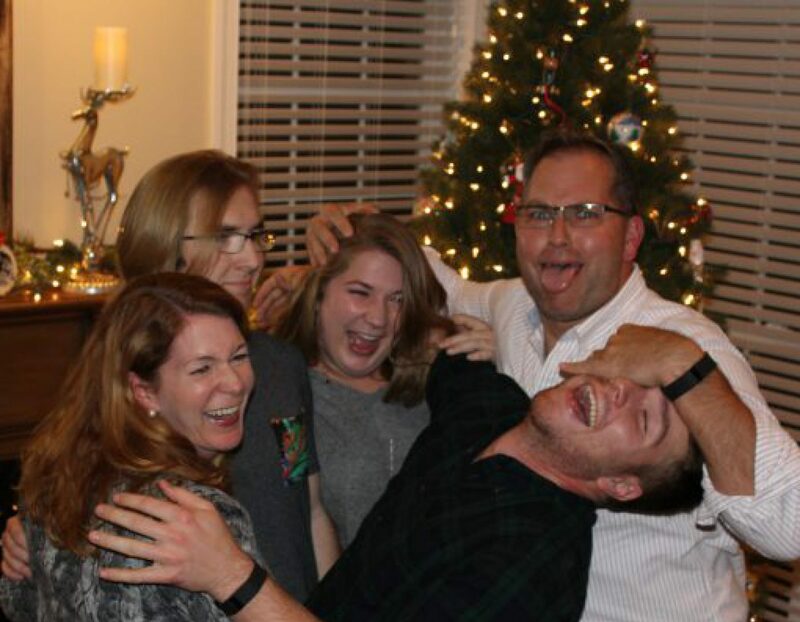 I was not thankful for the feeling of wanting to cheerfully strangle my children, though. As I was dropping Claire with my friend, Julie, I told her the story of our morning. I told her how I don’t get mad very often and Lucas interrupts me and says “No, that’s not true, Mom. Remember that one time two years ago when you got so mad and cut up our debit cards and I didn’t even do anything to get in trouble.” Point made. Thank you, Lucas, that was over two years ago. I don’t get mad very often but when I do, it’s not pretty and the kids remember it. Sometimes I wish I didn’t have a temper but I do. I have to think that someday these stories will be the ones the kids will talk about with one another as they are raising their own kids and I will smile.